Triple the storage of toilet paper in busy bathrooms with the three roll dispenser from Caprice Paper. 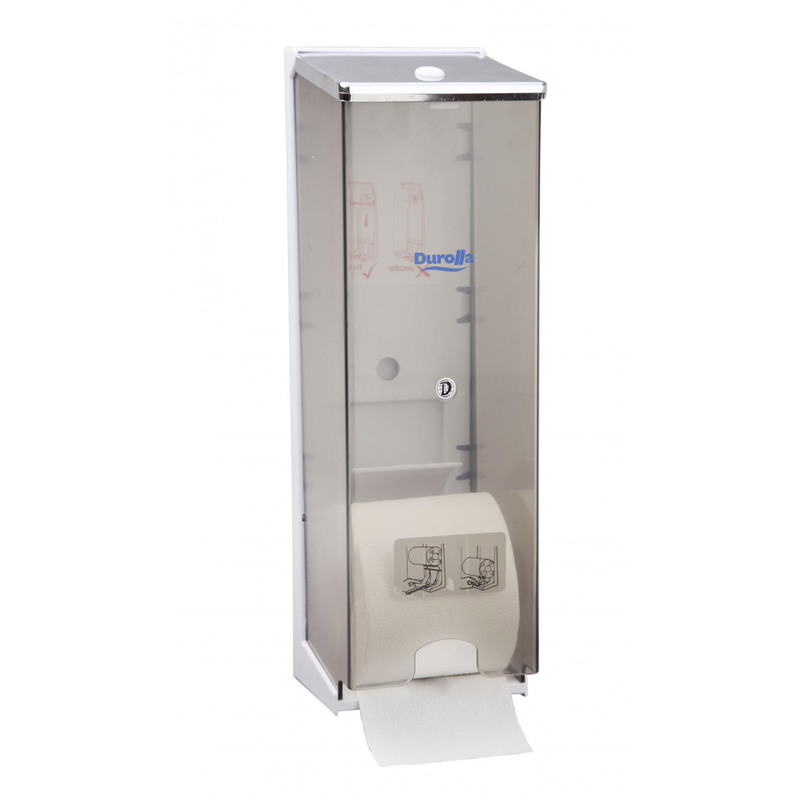 This dispenser is made from durable ABS plastic and with the clear front you can easily see when it’s time to restock. 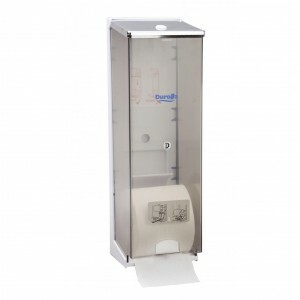 It easily stores and dispenses our 225CW, 250CW, 400V, 400CW, 400C, 700C, 700CW, 700V and 850C toilet paper products.